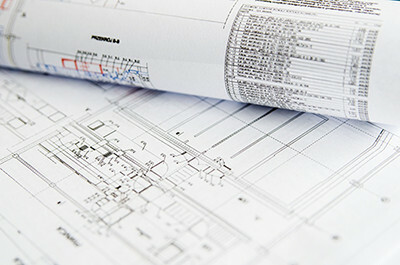 Our document management is developed based on more than 25 years of experience of technical CAD applications’ development with its related document management. With structuring and classifying documents in both projects and daily work, all data will be transparency, structural and searchable for stakeholders. Master Concept is a modern platform where you can even move all the old drawings from paper records to files. File security, authorized access and audits for documents are one of the most important aspects for a document management system. With Ides document management, it ‘s not necessary to consider the files location or access authorization any more. Files are stored in a digital archive inside the system where only the authorized person has access to. Document Security and privacy are important features in document management system. Except docMaster’s powerful authorization concept there are also some other feature examples such as audit management, traceability and flexible authorization flows etc. to support demanding documentation environments. Document management in MasterConcept handles all Office applications such as MS Word and MS Excel. MasterConcept document management structures document based on document type. It controls which application shall be started and what kind of metadata shall be written on the document record. In particular, what kind of information shall be visible in the document. MasterConcept built-in PDF management handles two files simultaneously – original file and PDF copy. After installation MasterConcept has already an automated PDF management for both technical documents and Office documents. This means that all those who do not have CAD systems can still view documents’ PDF copy. Smooth for an entire organization. There are a lot of opportunities in MasterConcept to link Preview-applications such as DWG-View or Oracle’s AutoVue. These Preview-applications can read and visualize documents’ original files. MasterConcept developed a built-in interface to link Preview-applications in system for users’ quick access. MasterConcept technical document management structures drawings, 3D models and shares 3D envionments. It controls both which application shall be started and what kind of metadata shall be written on document record. MasterConcept supports advanced 3D modelling program in order to visulize pipe plants, products and assemblies. The built in 3D viewer becomes a powerful tool for users when working with BIM and IFC format. MasterConcept has a built-in support for traceability and revision management. It offers a maximal power and safe system. docMaster has features to maintain Quality Management System such as ISO9001 and keep track of the documents even in project. Structure your document management in company’s internal business by using information objects or structure documents sorted by project. Document Management in MasterConcept do it for you. 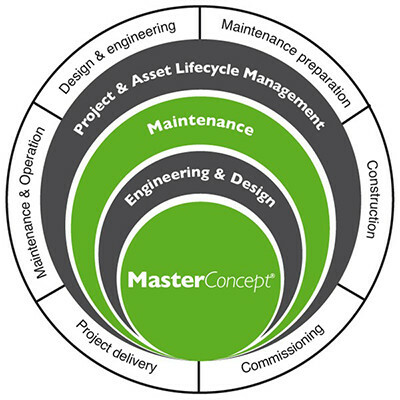 Document management in MasterConcept is fully integrated into all workflows which creates maximum efficiency and control for design work and all project documentation.